Okay... so this one should be easy. 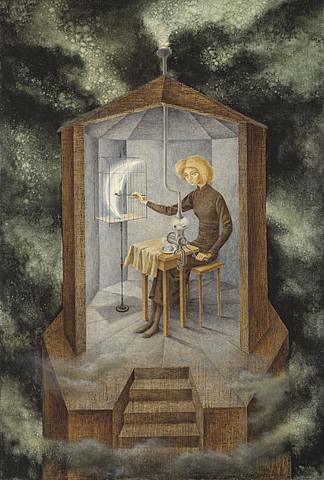 I wrote a 10 pg research paper on Remedios Varo for my ULLC223 writing class a year ago, but shes such a great artist I couldn't pass up the chance writing about her some more. 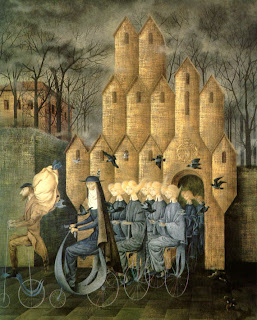 I first came in contact with Varo's art when I went to Mexico with Dr. Moran and Professor Garrett for my freshman January term. It totally captured me and I always love looking at her work again and again and finding new things I like about it. 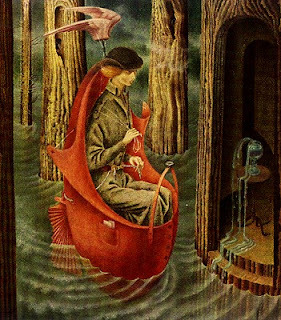 Remedios Varo is a surrealist painter who was born in Spain and traveled a lot due to her father's work as a hydrological engineer. She first learned about drafting from her father. She studied at the Academia de San Fernando in Madrid and later moved to Barcelona where she lived the bohemian lifestyle. Due to the impending movement Nazis during the war, she relocated to Paris where she met her good friend Leonora Carrington (also an artist) and developed her own style of Surrealism and had many of her works published. 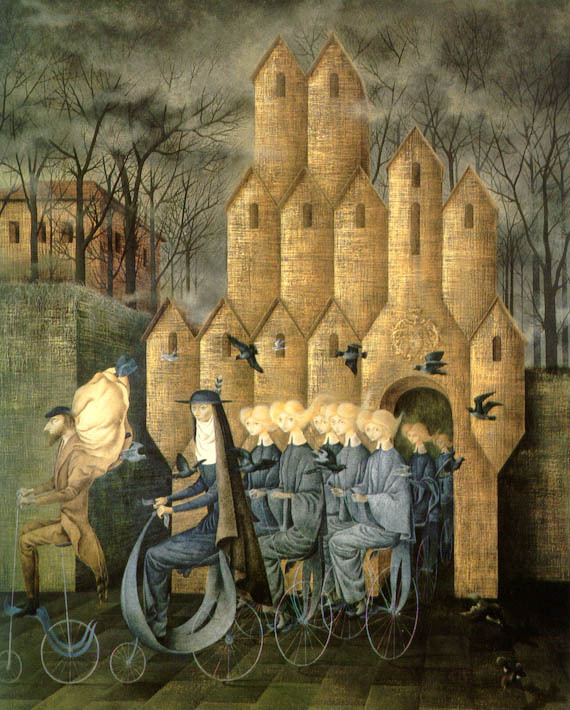 However the war continued to push through into France and she (along with many other artists and writers) was exiled to Mexico. 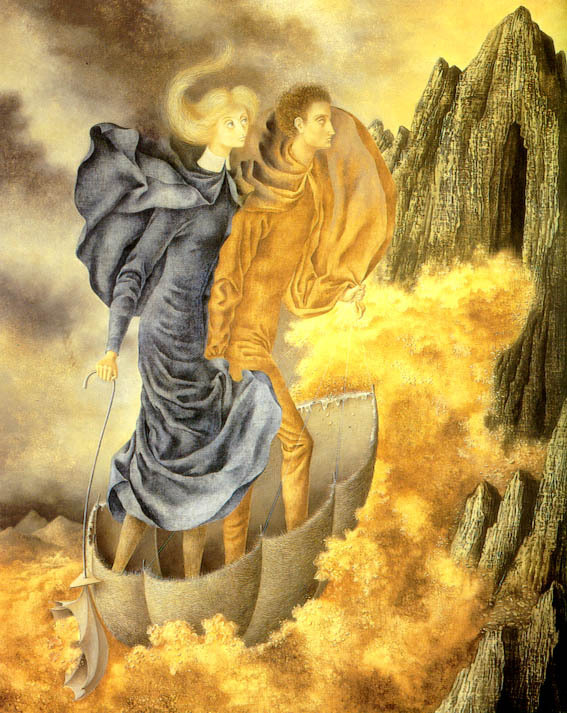 This exile had a huge effect on her work and helped in developing her unique style. 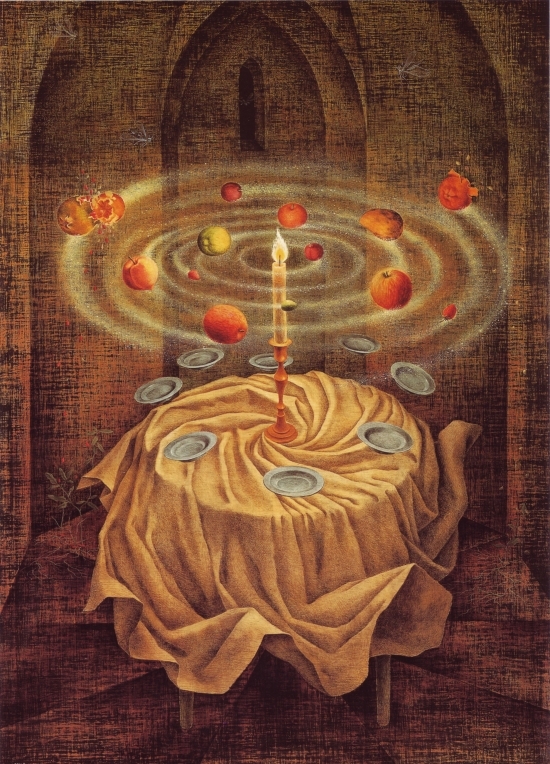 Her works usually include female figures with themes of the occult, feminism, mysticism, alchemy and astronomy. Varo's paintings are full of fascinating imagery with dreamlike figures, vehicles and objects. All of the images are from this website.